Fortune and fame are what every band strives for when they’re starting out. What they begin to realize is that, if they’re privileged enough to achieve those goals, both can be hard to maintain. You’ve got to go nonstop to stay at the top by touring and making appearances—basically being seen everywhere in pop culture. Today’s band isn’t just one of the biggest acts of all-time; they’ve been doing it all for four decades and are the absolute standard of an entire genre. Drummer Lars Ulrich placed an ad in Los Angeles paper The Recycler looking for musicians to jam with back in 1981. 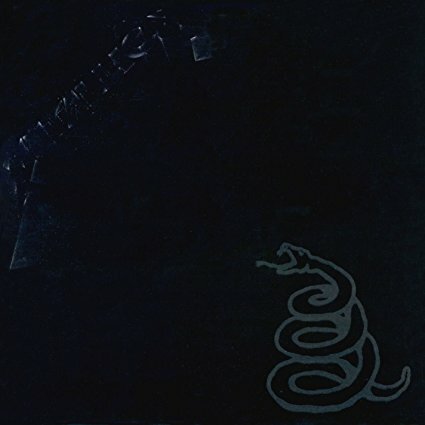 Guitarist James Hetfield responded to the ad, and in spite of not being an official group, they contributed to a compilation album shortly thereafter. Officially forming in October of 1981, Ulrich selected the name Metallica with the hope fans would immediately know their brand of music. Needing more members, they placed another ad and lead guitarist Dave Mustaine was selected based on his expensive guitar equipment. The contribution track started generating buzz, and Metallica was beginning to pick up some gigs opening for larger bands. By 1983, the band make-up was complete and they thought they’d struck a deal with a record label. After funding fell through, a concert promoter borrowed enough money to create his own label, Megaforce Records. He believed in the band so much, he was willing to take all the risk. Despite Mustaine’s abrupt departure, their debut album was a solid success with the sophomore album becoming even more popular. Outgrowing the smaller label, a new deal was made with Elektra and the third release was an instant classic. Everything seemed to be aligning perfectly for the band. However, after a tour bus accident in Sweden took the life of another band member, their future seemed very in doubt. Thankfully they were able to forge on, and the biggest was yet to come for Metallica. Today I’m listening to their Self-Titled release which dropped in August of 1991. Their fifth studio effort, it’s widely considered their best album and is certainly their best-selling, with nearly 25 million copies worldwide. The recording process was made difficult by a new producer and the band butting heads, but the result was nothing short of legendary. It was their first album to hit number one on the Billboard charts and remains one of the most heavily played albums on digital sites to this day. Although this album was drastic departure in style from their previous ones, they didn’t really lose the overall hard rock/heavy metal feel. While some of the original fans bemoaned the changes, it took the band to new heights and exposed them to new groups of people. Adding the use of orchestral instruments was unheard of in the genre at the time, but they used it to perfection. Even subtle changes like emphasizing the bass-line would end up becoming a signature. And the shorter song lengths were not an attempt to be more radio friendly—the band had simply grown tired of the longer format from previous records. Lyrically this was also a bit more introspective for Hetfield, exposing some of his personal beliefs and experiences. The laid-back process can even be seen in the title—they contemplated various names but at the end of the day, they all wanted the same goal with this album—simplicity. This post could be another six pages, confirming the ultimate standard this created for the band and the genre. Hits from Self-Titled are still played constantly on the radio, in arenas and in popular media. For $5 dollars, I’m not sure how you can pass it up. Even if you own it, buy it again! This album is outstanding, and nothing else matters. TDS TV customers: Stream FREE commercial-free holiday music + karaoke! This article take me back to the VH-1 behind the music: Metallica from years ago. And now I want to listen to some Master of Puppets! Thanks for the comment Mike! Master is such a good album – potentially my favorite of theirs. Like most, I don’t listen to much of their new stuff, but anytime you throw on one of the classics, it’s always great!